New rumors about the first Blackberry smartphone with OS Android with code-named Venice, indicates that the official announcement of the device will be held later this year - probably in November. Although direct evidence for the existence of this unit from the BlackBerry, for obvious reasons, has not been received, an American blogger Evan Blass (@evleaks), famous for its authentic "leak" information has not yet announced a smartphone, says that the smartphone will be "bound" to AT&amp;T. That is, it will be sold complete with a service contract on the network of US mobile operator AT&amp;T. It is not clear exactly when AT&T plans to launch the device, but it's definitely going to happen before the end of this year. 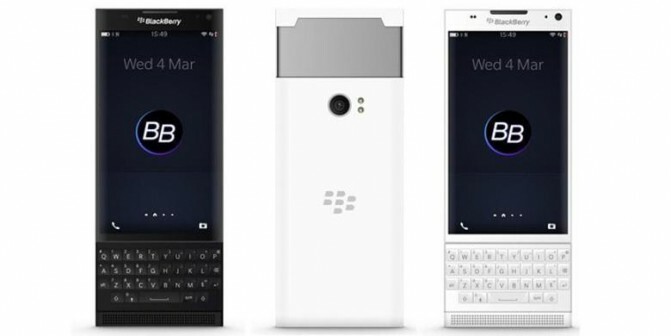 Earlier news agency Reuters has been suggested that a mysterious "blackberry" smartphone with OS Android Smartphone with hidden curved touch screen and slide-out keyboard, the prototype of which the company showcased at MWC 2015. It is believed that the basis of the premium smartphone BlackBerry Venice willserve 6-core Snapdragon platform 808, and its screen is 5.4 inches diagonal characterized resolution 2560x1440 points (Quad HD). Another interesting detail: the screen BlackBerry Venice is bent on both sides,like the Samsung Galaxy S6 edge. Among other technical specifications referred to 3GB of RAM, as well as 18-megapixel main and a 5-megapixel front camera. It is also reported that the Venice is actually may not be the first model with Android in the range of Canadian products - this title can get a budget model, codenamed Prague, performed in the spirit of BlackBerry Z3, which will be released a little earlier - probably in August. Not so long ago the head of John Chen said that BlackBerry may consider the release of Android-smartphone while ensuring the safety and security of mobile platforms at Google's own. Other models of BlackBerry phones you can buy much cheaper at JiJi.ng, buy from real people. Nice review and I'm gonna have to ask why are you not updating the blog?